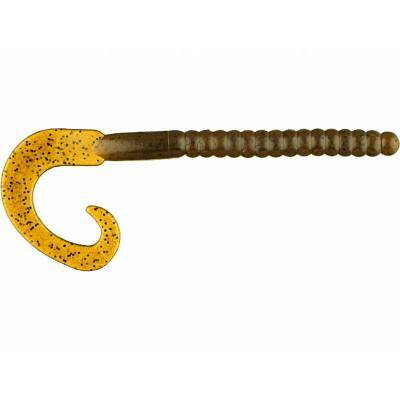 Berkley PowerBait Power Worm - 7" Green Pumpkin. Offers a natural presentation for all fishing conditions. Classic ribbon-tail design gives a life-like swimming action when twitched or on the fall. Large profile softbait is excellent for pitching and flipping around heavy cover. Loaded with the exclusive Powerbait scent and flavor that bass crave. 7" long. Sold in bag of 13. Assorted colors available.